Welcome to Elodie Detail’s atelier in the air - the birthplace of Elodie Details’ Spring 2019 collection. This is where we paint poetry for birds and tell our secrets to unicorns. Magic is never far away and limitless inspiration flows through the air. This new collection is essentially a tribute to the gift of creativity that we all get to share. A tribute to the naive yet wonderfully expressive ways in which children conceive and interpret the world. We wanted to move away from the graphic and monochrome aesthetics of earlier collections and just let all the colours and shapes flow the way they wanted. 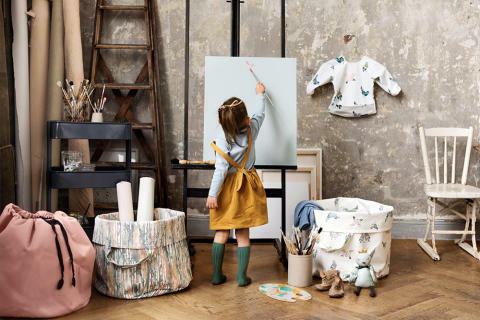 We brought a lot of the colour schemes and playful prints from “Valleys of Himalaya” over to this collection, and we added lace, birds, bunny ears and unicorns for good measure. You’ll find Pacifiers, Clips, Blankets and most of all Bibs, where our creative team really let their inner child come out to play. 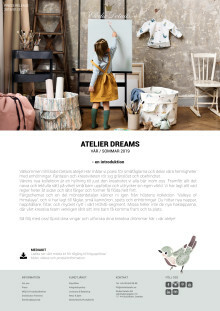 So join us - spread your wings and explore these atelier dreams! MEDIA KIT: Download your own media kit here for access to high resolution images, videos and product information.